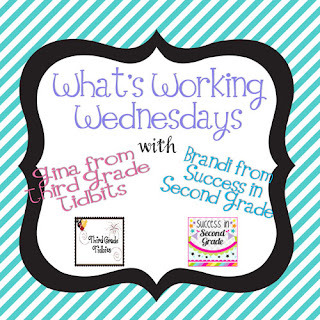 We're back with What's Working Wednesday. Brandi and I have decided it is time to get this back in full swing! But we are doing things a little bit differently this time! We are making this a monthly link up. Want to post once? That's fine. Want to post 3 times? That's fine too! 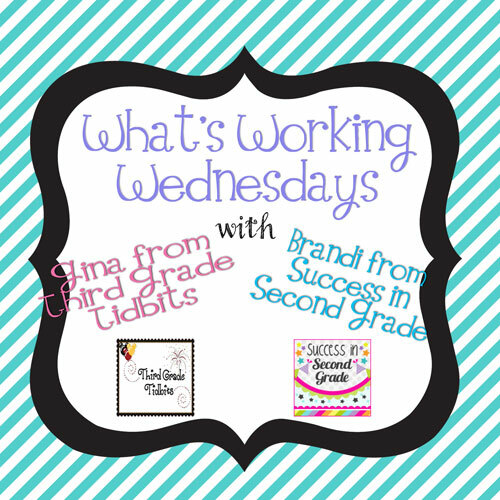 You can link up anytime you post a What's Working Wednesday. I am going to try to post a new one each week but will keep the same link tool on each post so you can just add your links. AND as a bonus we are having a giveaway (you will find the rafflecopter at the bottom of this post). All you have to do is link up with a post that shares something- ANYTHING- that is working in your classroom and follow our blogs. Easy as pie! Even if what is working is something simple. We LOVE to hear other teachers' ideas on what is working in their class. First of all- the kids NEVER know when I will give them out. They are VERY randomly given. Sometimes I give them for asking higher order questions. (Well, anytime a student asks a higher order question I give them because it is very rare for my kids to think outside the box.) If I ask a question and no one seems to know, the student who finally gets it right gets smart beads. If students notice something or figure something out that I haven't taught- smart beads. Correct a teacher mistake- you better believe they get smart beads. And believe me they are ALWAYS looking for my mistakes. Once students get beads they get to wear them all day. BUT the best part for the kids around them to feel included. SOMEONE gets to sprinkle the Brain Sprinkles on the smart bead earner. It is literally some old sprinkles in a container and hot glued closed. The kids LOVE to be the one to sprinkle the smarty! They cheer for each other. It is great for building classroom community too. And the kids really want to earn them so they are always trying to be on their toes and answer the challenging questions (challenging- not hard- nothing is hard in our class). At the end of the day the students who earned smart beads turn them in to get a note home for their parents. I found these notes here and printed a bunch before school started. I also write the date, the child's name, my name, and WHAT they did to earn beads. I make the student remind me what they did (sometimes it is because I actually forgot, but mostly it is so they know what to say when they get home) and put it on their note. Love the idea of smart beads and sprinkles! I've got to do this in my room! I may have to post my what's working on Thursday.....oops! LOVE all of the ideas . . . I may need to borrow them!!! Thanks so much for sharing. Love this Gina! Great way for everyone to feel good!